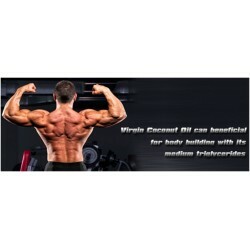 Coconut has been popular all over the world because of its numerous health benefits. It is a versatile fruit that is a part of the staple diet of people living in the tropics and subtropics. Tender coconut water, derived from immature coconuts, is high in nutrition and low in calories making it a popular fresh beverage among health enthusiasts. 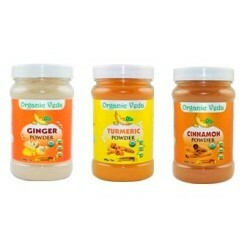 It is considered to be one of the best natural health supplements these days. Most people stock their pantries with spices and other ingredients common to their style of cooking. They rarely stop to think about how those ingredients, if purchased in their pure, organic forms, can add much more than flavor to the dishes they cook up. The truth is that some of the most common staples in the kitchen also double as nutrients that may even have medicinal properties. From cinnamon powder to turmeric powder, a well-stocked pantry may also be a powerful and natural medicine cabinet. Modern lifestyle is all about finding shortcuts to health and wellness. In an age where people don’t have the time to eat a full meal and come up with a balanced diet, people need health supplements and herbal tea to make up for the lack of nutrients they are consuming. 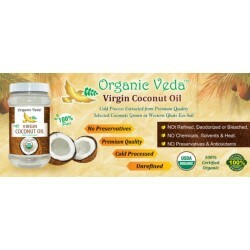 But one substance, naturally available out there, can take care of all your health woes for you - coconut oil.